Monday was a snow day, or an ice day anyway, so school was canceled. I took the opportunity to sleep a bit late, study a bunch for my upcoming tests, exercise a little, and finally finish a biography. 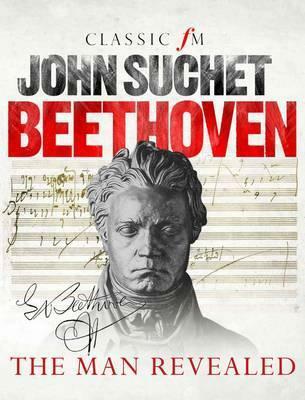 Beethoven: The Man Revealed by John Suchet is about Beethoven, of course. I thought it was very good. I've read some other Beethoven biographies as I find him really fascinating. This one wasn't too long, nor was it filled with musical intricacies that I do not understand as I've never taken music or played an instrument. The author does talk about the music and about how it sounds but in more layman's terms. It also had the advantage of being the first Beethoven book I've read while having access to all of the music referenced (Thanks, Spotify!) so I was able to hear a piece just after reading about the events that occurred in the composer's life as he wrote it. It was cool to be able to listen for the things that Suchet mentions in each work. I would say that if you're interested in Beethoven but have been turned off by the length or musical knowledge assumed in other bios this book is worth a read. I give it a 6.